Do you ever have a dream that keeps coming back to you? You talk about it and talk about it. Then one day you realize, what the what? why is that a dream? And you just go out and do it. Lot’s of exciting news coming up for The Painted Home. 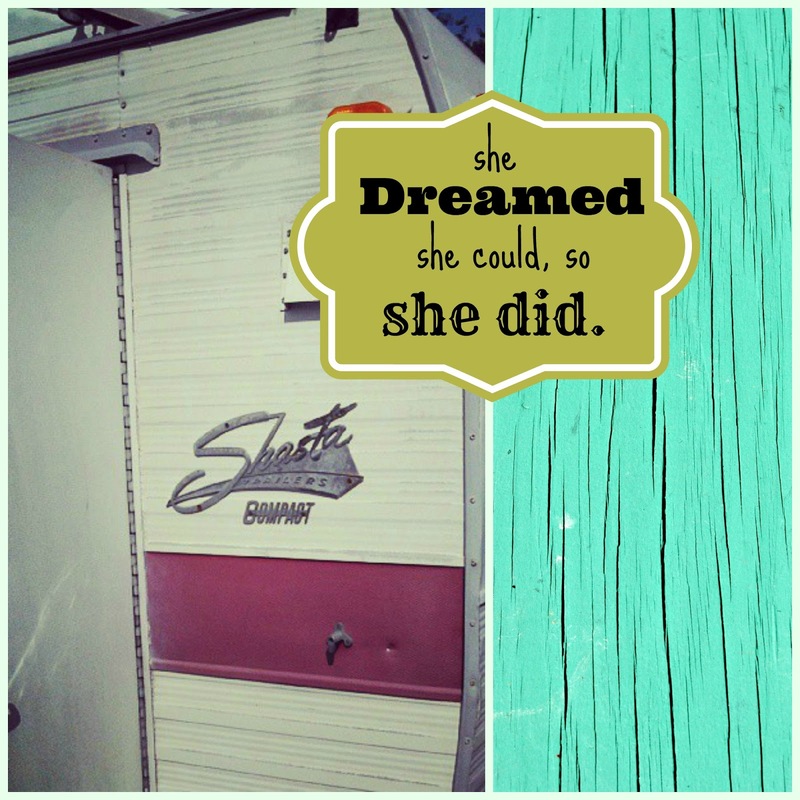 And it’s not just showing you pics of my vintage camper redo. ’cause you’re gonna gave to sit through those as well. It’s real live hands-on stuff. You and I are going to be elbow to elbow kind of stuff. You and I will be drinking a glass of wine together and giggling. So, in the mean time, while you are on the edge of your seat wonder what I’m talking about. It’s my Vintage Trailer inspiration Board on Pinterest. It’s no longer a dream. Now it’s your turn. Act out your dream. Can't wait to see what you do with your new to you camper.